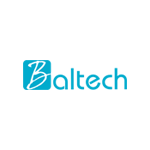 Baltech India is a privately owned company offering Offshore Outsourcing services to various clients in the U.S., Australia and Europe since 2008. Our services and solutions are designed with a focus on secure, scalable, expandable and reliable business systems. Through our low cost, high quality and reliable software services, we serve our clients giving them value for money and thus client satisfaction. We are committed towards achieving high levels of customer satisfaction by ensuring quality, cost effective and timely solutions. It would be our endeavor to achieve this with technical, financial, business and moral excellence. Baltech India is a company that works in a flexible environment for software development process, adjusting as per our clients' requirements. Quality work is a prerequisite for every task we undertake at Baltech India as we consider that "every day counts". People are the key resources in any service industry. We highly value our people and their performance. Baltech India ensures providing an environment to develop their skills and offers them a rewarding career.